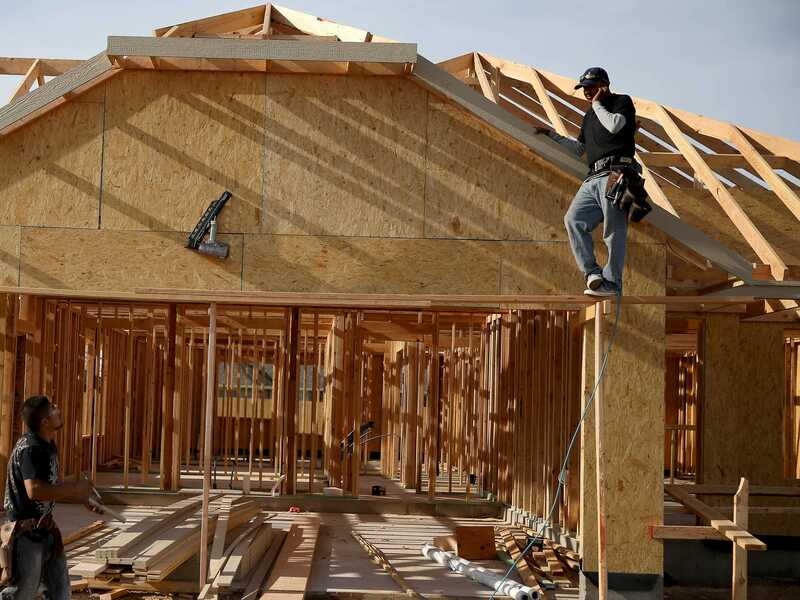 Housing starts unexpectedly dropped in October but the number of building permits accelerated. The latest report on housing starts from the Census showed that the pace of housing starts fell 2.8% in October to an annualized pace of 1.009 million. Expectations were for the report to show the pace of starts accelerated slightly in October, to an annualized pace of 1.025 million up from 1.017 million in September. Month-on-month, the rate was expected to jump 0.8%. September’s rate was also revised up to 1.038 million, and Wednesday’s number was a 7.8% increase over the pace of starts in the same month a year ago. Building permits, meanwhile, beat expectations, as permits jumped 4.8% in October to an annualized pace of 1.08 million. Building permits were expected to rise at a 0.9% month-on-month in October, up to an annualized pace of 1.04 million, up from 1.02 million a year ago. Following the report, Ian Shepherdson at Pantheon Macro said that all in all, the trends are flat, consistent with trend in new home sales, and that this report will provide no boost to GDP growth.